Timed perfectly to coincide with BMW's 24Hours of Nürburgring win, G-Power has announced two special edition M3 Clubsport models. Both the Tornado CS and GT2 S - the Tornado is the more subdued of the two - get G-Power's SK II CS supercharger system, lightened wheels, and a "Clubsport" coilover system. Both cars crank out 600 horsepower and 580 Nm of torque, resulting in a theoretical top speed of over 320 km/h with a six-speed (330 km/h with the 7-speed DCT). 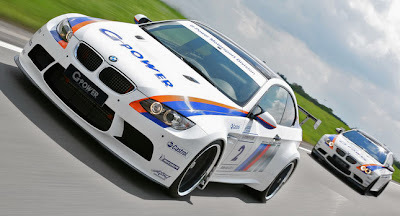 The GT2 S, G-Power Motorsport's first official vehicle, is a turn-key racer costing a princely €139,495 before taxes. 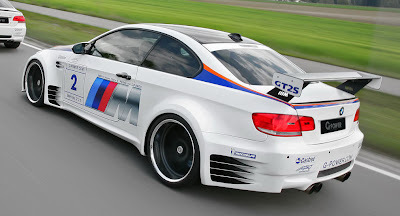 It's aimed at consumers looking for a BMW version of Porsche's GT3 RS (and who decided the M3 GTS is a bit bland).